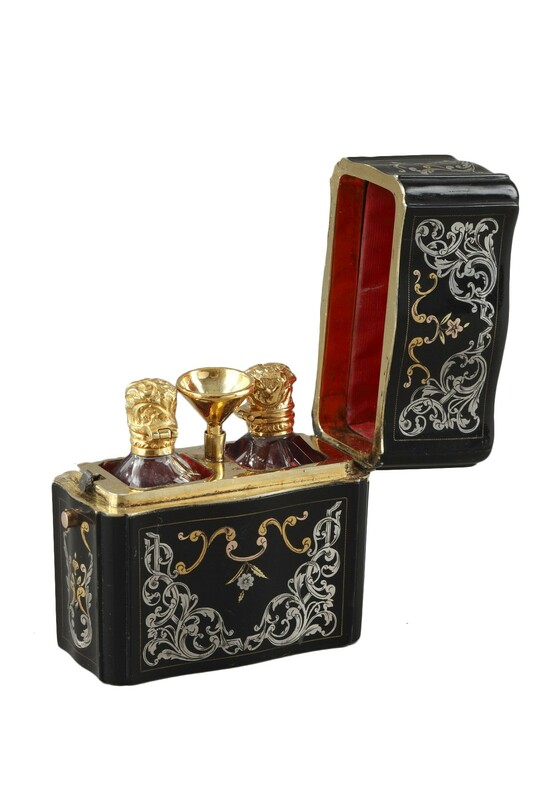 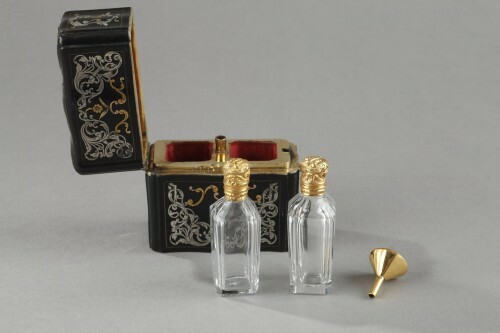 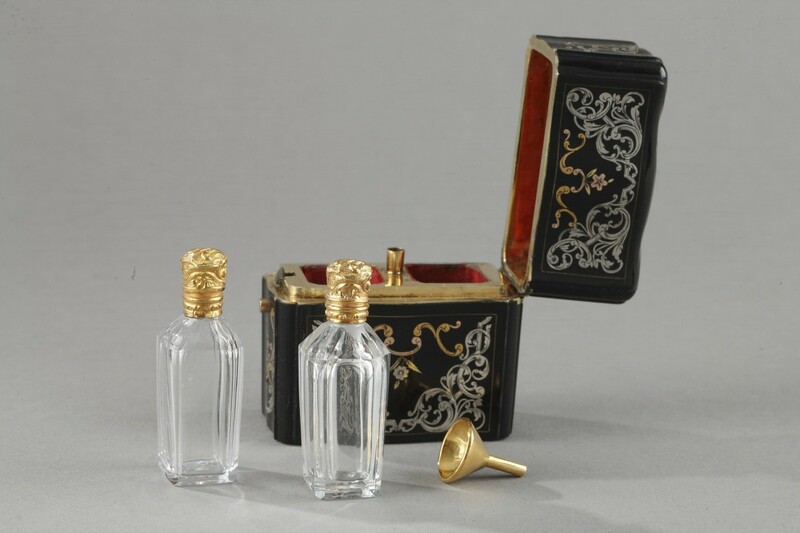 Rectangular perfume set including two crystal bottles and vermeil stoppers finely chiseled with stylized floral motifs and their funnel. 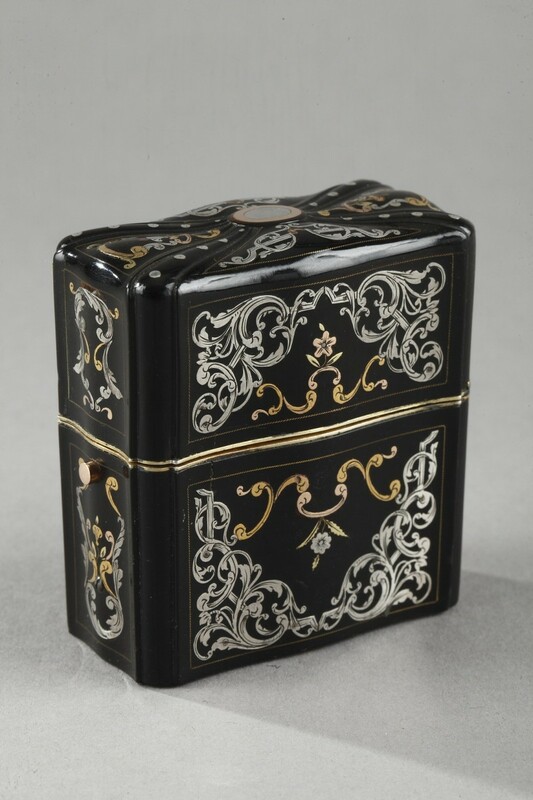 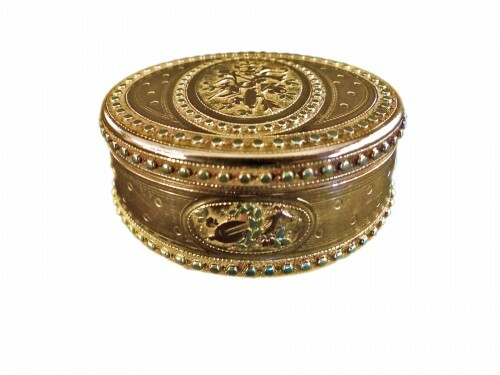 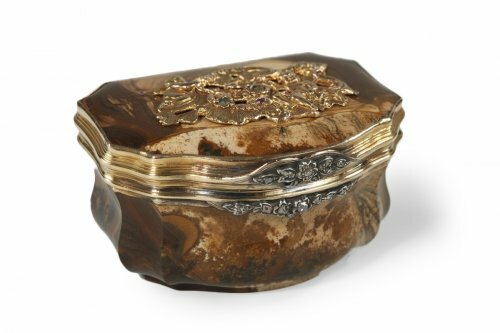 The tortoiseshell set is inlaid in its lower part with interlacing motifs in silver and gold highlighting a flower. 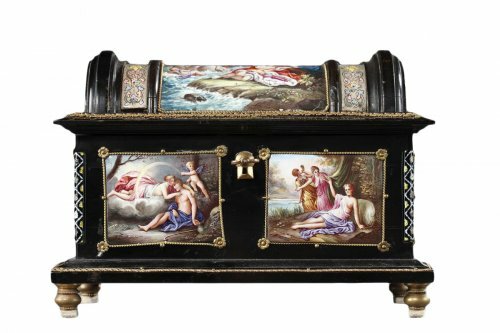 In the upper part, the decor has a similar decor. The interior is fully lined with red velvet (some wear). This necessary is characteristic of the toilet articles in vogue in the 18th century. 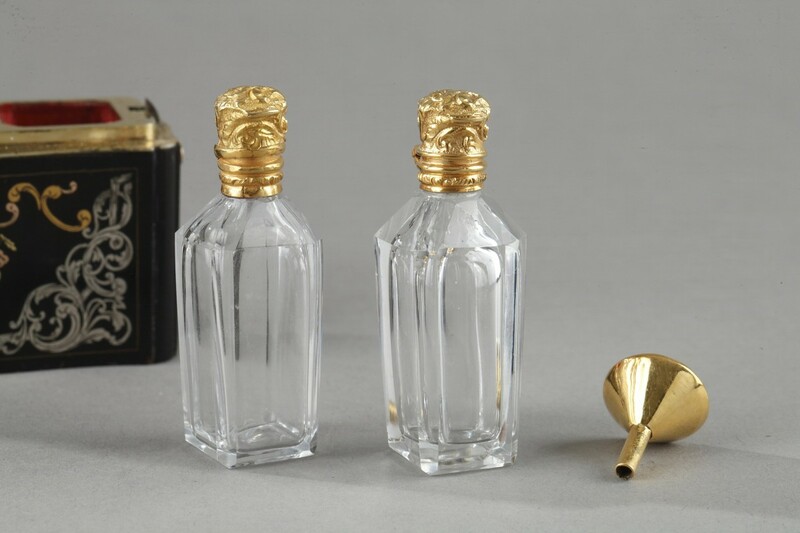 L: 2.3 in. 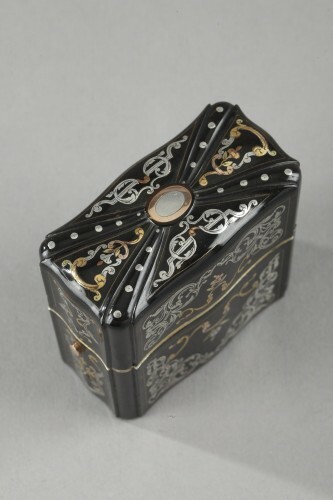 (6 cm)/ l: 1.9 in. (5.5 cm)/ P: 0.7 in. (2.5 cm). 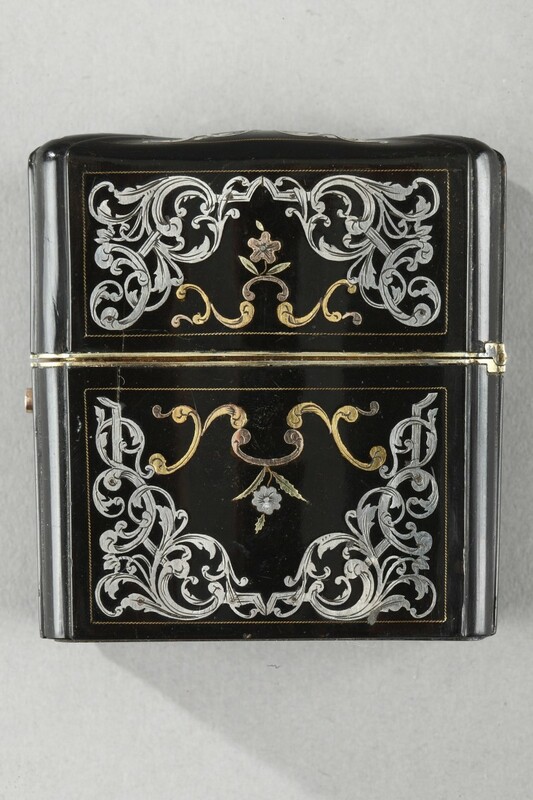 Flacon H: 1.7 in. (4.5 cm). 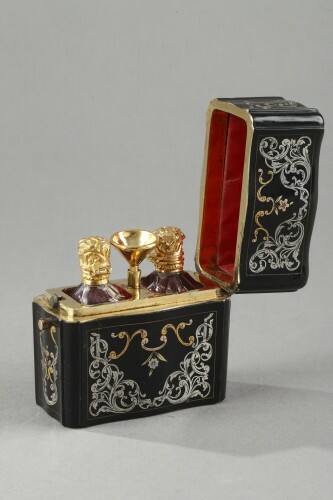 Work from the en of the 18th century. 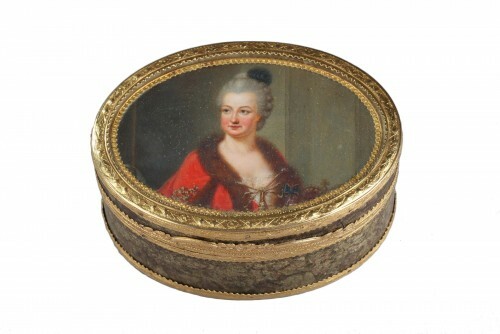 Circa 1780-1790.